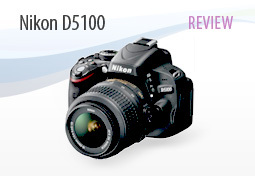 As we expected, in all measures the D5100 is better than the D5000. The Overall score jumps from 72 to 80. Portrait, Landscape and Sports scores are all increased. The dynamic range is improved by more than one stop, and the Sports score is improved by 1/3 stop, jumping from 868 ISO for the D5000 to 1183 for the D5100. The SNR measured for the D5100 sensor is better than that of the D5000, and the difference increases with the ISO sensitivity. As expected the Dynamic range graph shows really high values for the D5100, especially at low ISO settings. Note that between ISO 400 and ISO 3200 there is almost no difference between both generations. Tonal Range and Color Sensitivity show some improvements too, but not as remarkable as the previous ones. And here again, the difference grows as the ISO speed increases. Read other reviews about APS-C sensors. Since the two bodies use the same sensor, their metrics should normally be very close, if not identical. The Sensor Use Case scores confirm this: they are almost identical. A quick look at the other metrics only confirms their similitude. The SNR comparison shows a single line, which is to be expected as the values are the same. These metrics show that D7000 and D5100 have the same sensor performance. The differences will be found elsewhere on the spec sheet: AF, body construction, memory cards slots, etc. The biggest competitor the D5100 will have on the shelves will be the recently launched Canon EOS 600D. Both are at the same price point. On the Use Case scores however, the balance tips clearly in favor of the D5100. On the latest testings D5100 seems better in every measure. The Dynamic Range being one of the most important differences, especially at low ISO settings: with more than 2 stops difference at ISO 100 there’s a really huge advantage for the D5100. Though the other metrics also show a D5100 superior to the EOS 600D the difference is not as important on the SNR graph. As expected the 16 megapixels sensor used in the D5100 shows fantastic metrics. As we stated before: the D5100 sensor performance is exactly the same than the D7000’s. Nikon have managed to build a device with a really strong range, clearly outperforming Canon’s latest offer.